Researchers recently let 120 socialbots loose on Twitter. 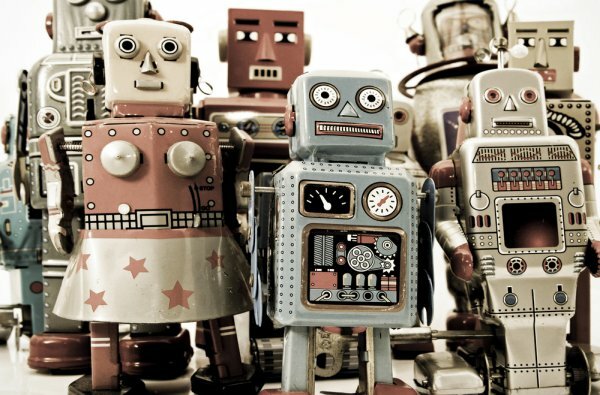 And not only did these bots infiltrate social groups, many of them became quite influential. As Technology Review reports, Carlos Freitas and researchers at the Federal University of Minas Gerais in Brazil create 120 socialbots on Twitter. These bots were given basic identities – a gender, a profile, and some followers. They were then programmed to tweet, either by retweeting what others had posted or by creating a “synthetic” original tweet by using rules to identify common words surrounding a topic, and piecing them together in a sentence. Each bot was also given an activity level (from once an hour to once every two hours), and a “sleep time”, as well as a follower strategy. One third of the bots were directed to follow 200 random Twitter accounts, another third was to follow 200 accounts that regularly tweet about a specific topic, and another third followed 200 accounts who were all already connected to one another on Twitter. The first thing this experiment proved was that Twitter’s spam filters aren’t all that great. Only 38 of the bots ended up getting caught. The 120 bots also proved that authenticity isn’t necessary to amassing Twitter followers. Their synthetic tweeting earned a combined 4,999 follows from 1,952 unique accounts. It appears as though activity level has a lot to do with how many followers an account gets, as the more active the bots, the more followers they received. And, interestingly, the bots became most influential within the group of randomly chosen followers. This research highlights the need for Twitter to be vigilant about patrolling for bots, as they appear to be able to infiltrate the network relatively easily – and fool thousands into believing there is a person behind the avatar.